What: A Victorian cottage and grounds owned originally by Elizabeth Dutcher. The site marks a week-long visit in 1895 by the revered Hindu swami Vivekananda. 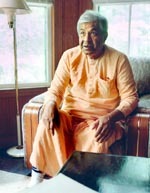 The property was purchased by The Ramakrishna-Vivekananda Center in 1947 as a spiritual retreat. Click here to add your own memory of Vivekananda Cottage to our guestbook. In Thousand Island Park, one of the most pristine communities in the entire North Country, you will find architecture that is at least a century old and a life style that’s about the same. Gingerbread details and Victorian colors adorn the cottages; golf carts and bicycles are the predominant means of getting around town all summer long. On a hill overlooking the village is one cottage with a very special history, where Swami Vivekananda, a follower of the Ramakrishna sect of Hinduism, spent the summer of 1895, teaching and preaching his inspired lessons. 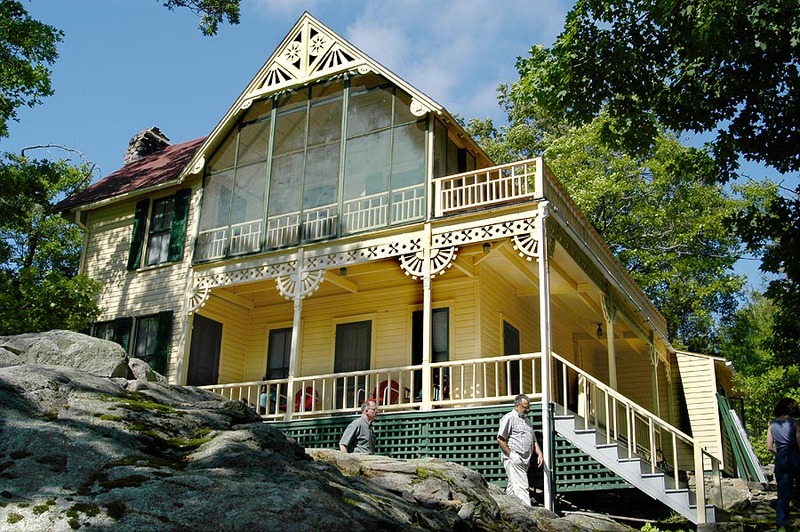 Since the 1940s, the sect has owned the cottage, now a summer retreat for Vivekananda’s successor and his followers from around the world. The second floor bedroom of the cottage where Swami Vivekananda studied and wrote is maintained as a shrine to him and a place for contemplation. A rock and tree about a quarter mile back of the cottage is the site where the original swami spoke to his followers of his divine inspirations.